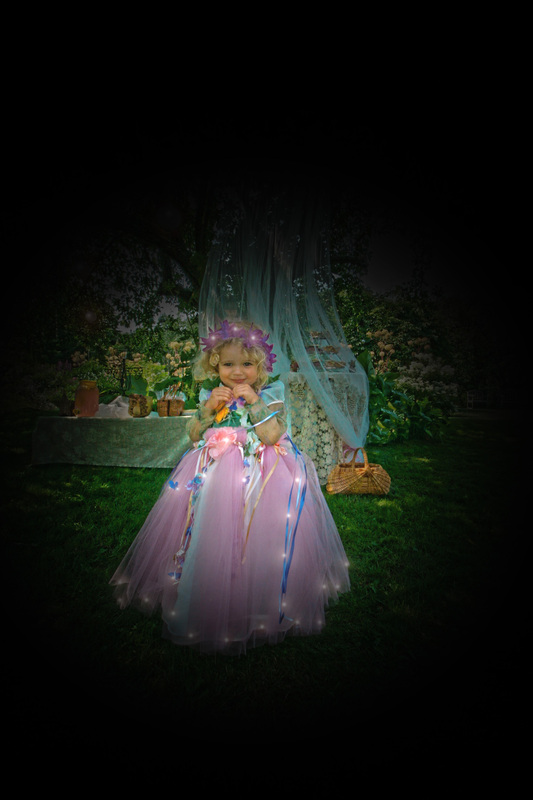 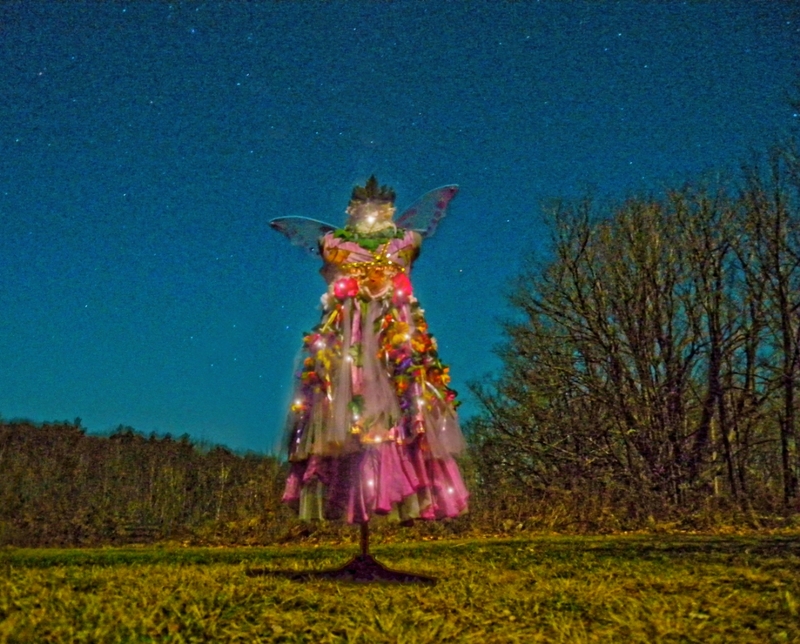 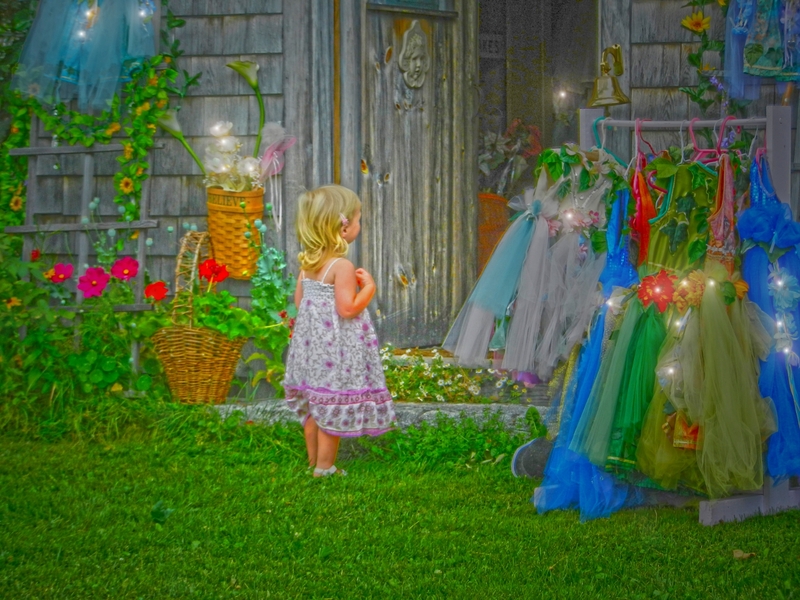 As Seamstress to the Fairies I dress fairy folk…. 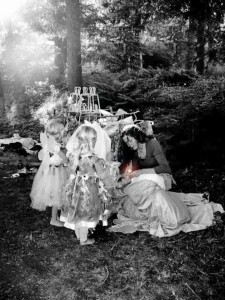 this is what I do. 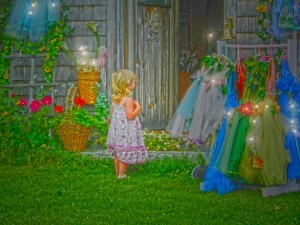 Since early spring fairies of all shapes and sizes have been coming out of the Enchanted Forest and tapping at my door. 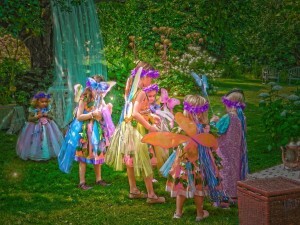 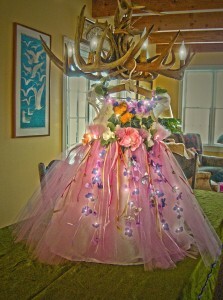 They arrive for the final fittings of their fairy clothing which I have been sewing over the long cold winter months. 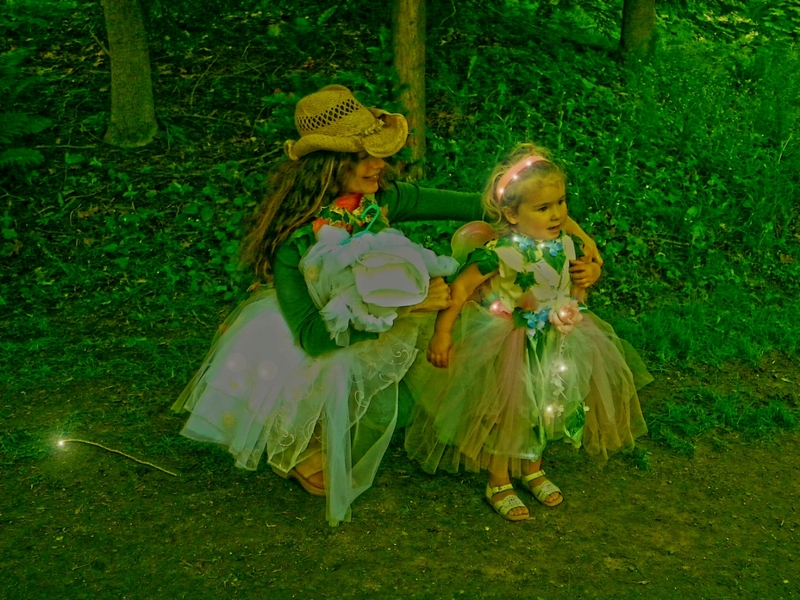 I am pleased to be adding the finishing touches for outfits they will wear while attending their annual Grand Fairy Spring Ball. 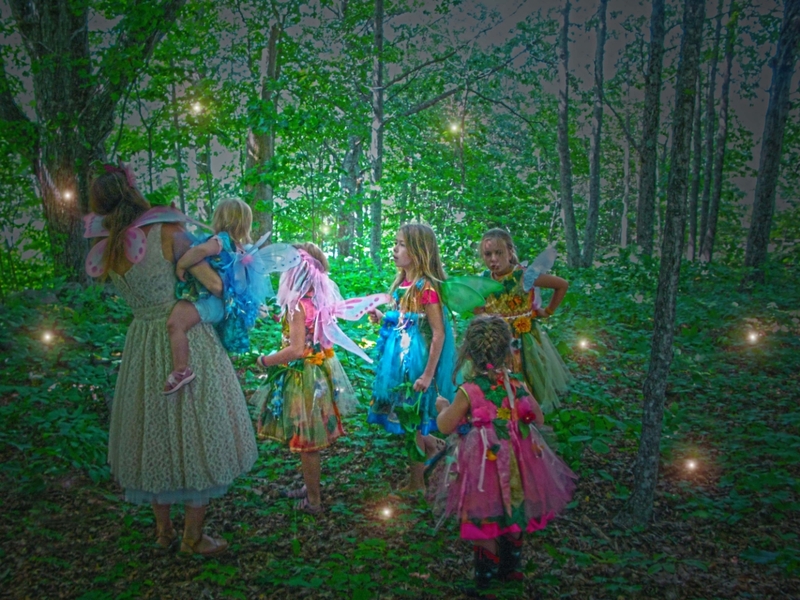 Fairies shape shift to the size of mortal children when they come to me for their fittings. 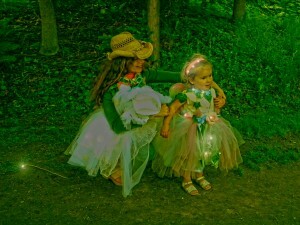 This way I am able to comfortably sew their clothing to fit their bodies perfectly. 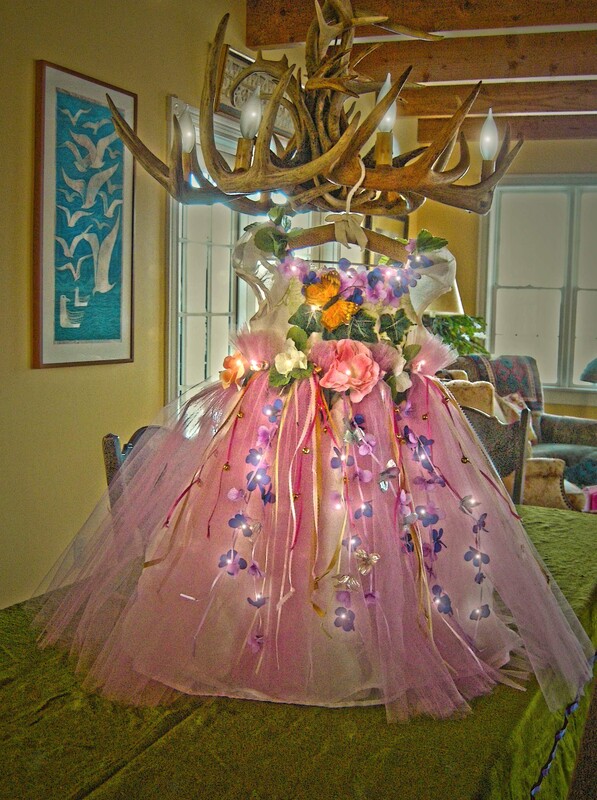 After their garments are adjusted and sewn , I sprinkle them with fairy dust and hang them from a chandelier made from antlers of stag. 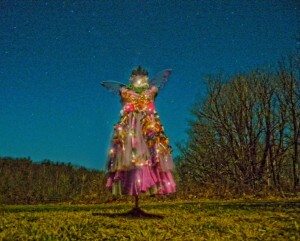 Last they are set in the twilight beneath the light of springtime’s first new moon. 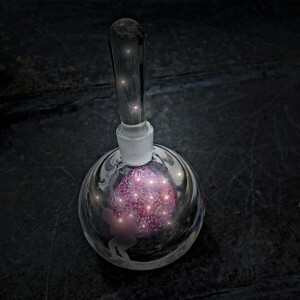 This increases their magical powers ten fold. 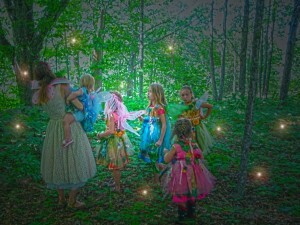 Another small bit of fairy dust is all that is required to reduce their clothing to wee fairy size. Fairy dust is very magical, it allows fairy clothing to fluctuate in size just as the fairy folk do when they shape shift. Just a wee pinch of fairy dust is all it takes! 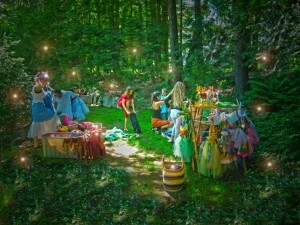 Home Place Fairy Folk love all that glimmers and glows and have a deep affection for jewelry. 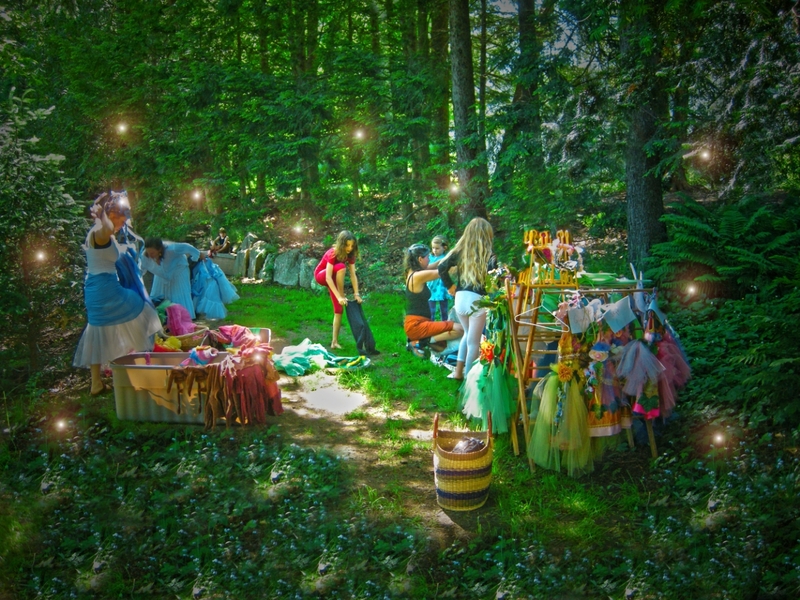 Fairies collect jewelry left for them by human children or that which is made especially for them by the Trolls from the Knoll. 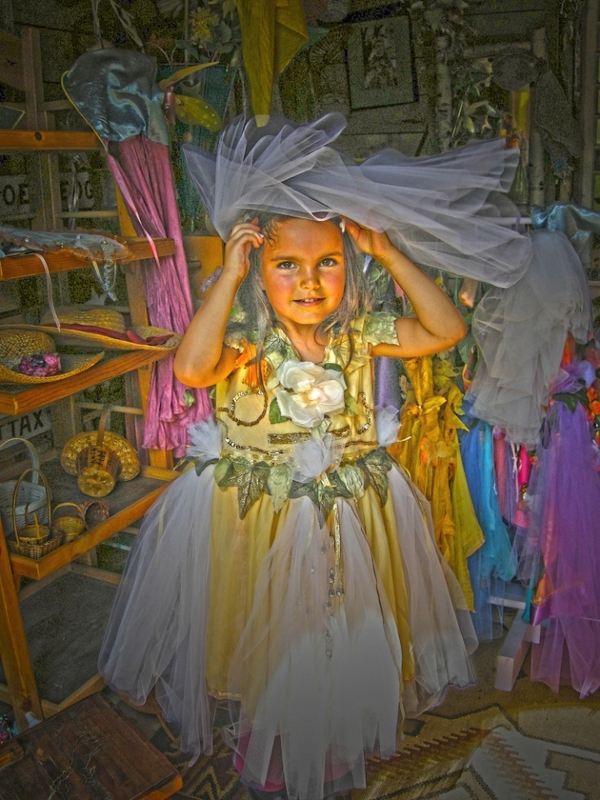 Did you know that somewhere right about now a Home Place Fairy is trying on an outfit for The Annual Grand Fairy Spring Ball? 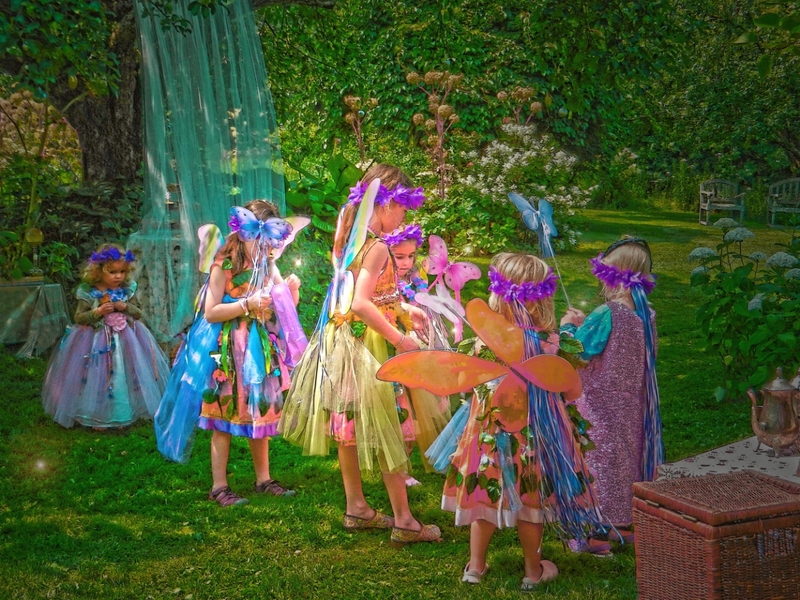 This is a fabulous occasion attended by all members of the Fairy Realm and is held each and every year in a secret location by invitation only. 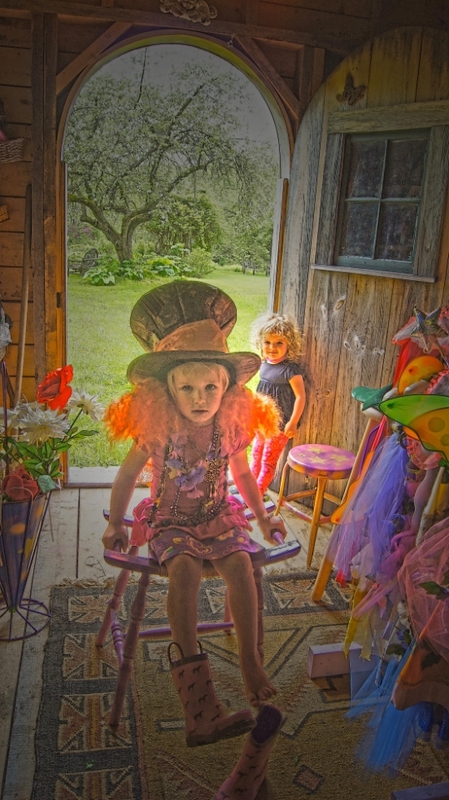 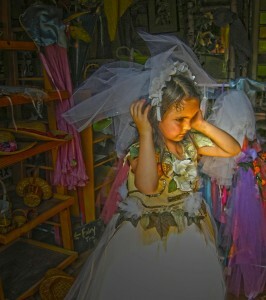 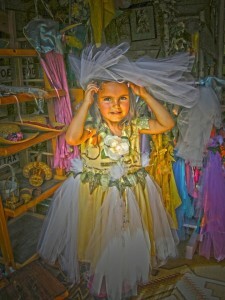 Meanwhile back in the Fairy Wardrobe Chamber at my farm… human children try on an assortment f magical clothing. 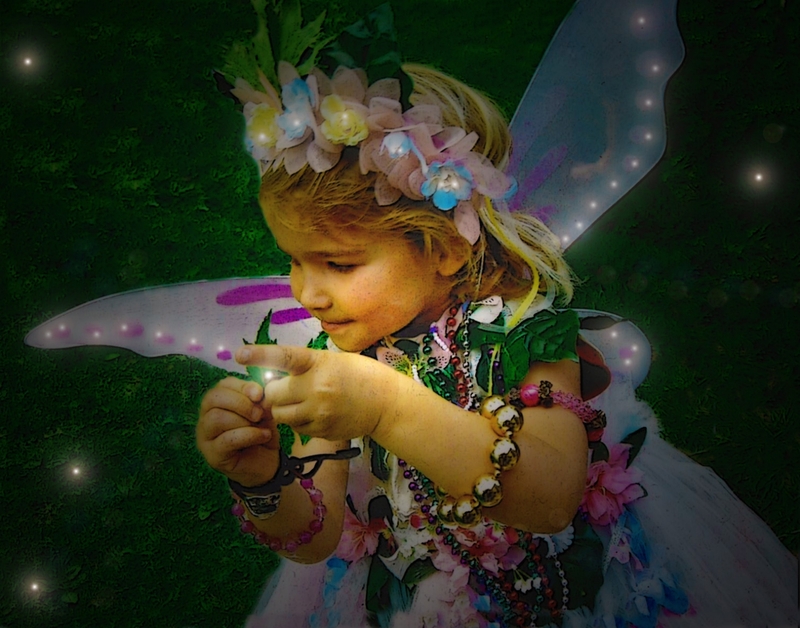 You are only as “magical” as your imagination. 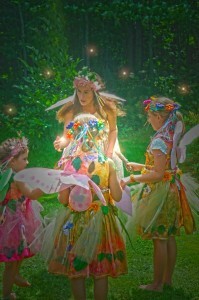 I must confess, I have been known to sing and dance with the Fairies in May!